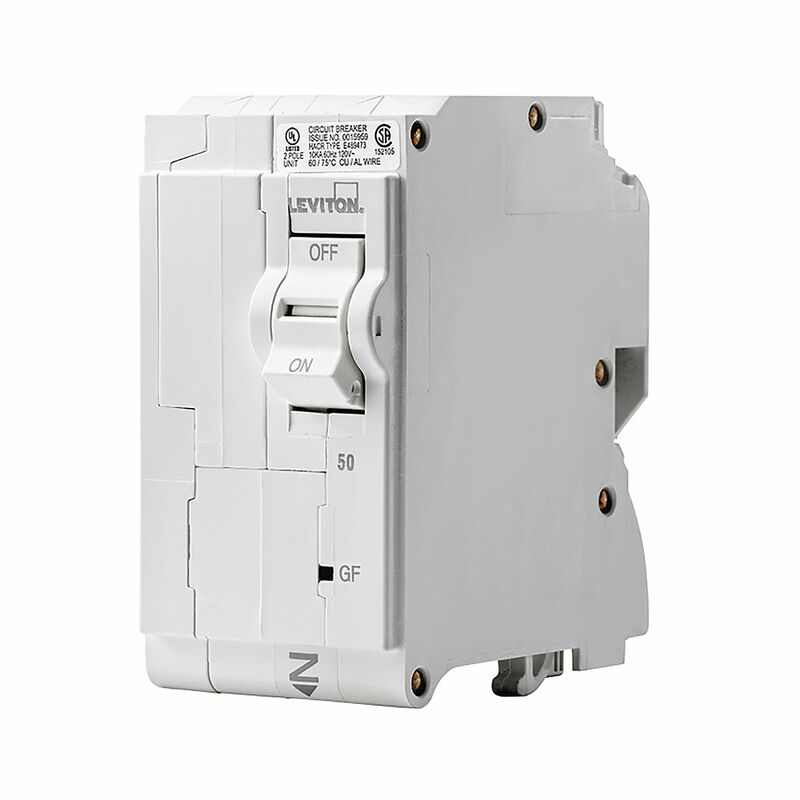 Leviton Circuit Breakers provide overload and short-circuit protection and feature an all plug-on design. All hot and neutral wires terminate at custom lugs in the panel, not at the circuit breaker, so the entire panel can be wired at rough-in without circuit breakers installed. Leaving the option of having the circuit breakers easily plugged-on at final installation. They also feature colour indicators in the handle to easily see operational status at-a-glance. HomeLine Dual Function circuit breakers combine combination arc fault and ground fault protection in a single device. The dual function circuit breaker meets the 2015 Canadian Electrical code requirements for arc fault protection in the home, while also offering (Class A - people protection) ground fault protection. This unique combination saves space in the panel and installation time for the homeowner or contractor by replacing the arc fault breaker and a ground fault receptacle combination. Ideal for the bedroom and en suite bathroom combination or an outdoor receptacle. A standard feature in all HomeLine dual function circuit breakers is the TIME SAVER diagnostics test that assists in identifying the type of fault that last occurred in a circuit. Stab-lok breakers are fully interchangeable with all past breakers and deliver the same proven quality. The unique Stab-lok breaker design of only a 1/2 thick per pole, allows for the reduction of the size and weight of the loadcentre. This breaker will work only in Federal Pioneer Stab-lok branded residential panels. Typical applications for a double pole 20 Amp breaker include the electric heater (240V up to 3.75Kw) in a home and requiring a wire size of 12-2. 2-Pole 50A 120/240V GFPE Plug-on Circuit Breaker Leviton Circuit Breakers provide overload and short-circuit protection and feature an all plug-on design. All hot and neutral wires terminate at custom lugs in the panel, not at the circuit breaker, so the entire panel can be wired at rough-in without circuit breakers installed. Leaving the option of having the circuit breakers easily plugged-on at final installation. They also feature colour indicators in the handle to easily see operational status at-a-glance.